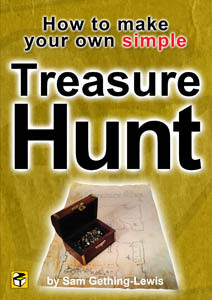 Team building treasure hunt designed for corporates, giving a far more interesting and engaging slant to team building . Using a treasure hunt will get people out of the office and onto the streets or into a venue and actively taking part. We can incorporate additional tools which will give value to the business such as MBTI profiling and include the results in the hunt to reinforce the message. Alternatively we can do a just-for-fun team building treasure hunt which everyone can enjoy and reap the benefits of the treasure that you choose.